Turkmenistan is looking to pave new roads, both figuratively and literally, in a bid to restart its sputtering economy. The private sector nature of the project is dubious though. The company assigned the $2.3 billion contract to build the 640-kilometer road is called Turkmen Awtoban and appears to have been tailor-made for this project. At $3.6 million per kilometer, the highway is effectively a license to print money. Turkmen Awtoban is part of the Union of Industrialists and Entrepreneurs of Turkmenistan, a body only nominally separate from the state. A recent example of this would-be business lobby’s activity includes an ex-government official who makes wrapped chocolates that are clear rip-offs of famous international brands. The lobby group’s other responsibilities extend to advancing trade with neighbors. On January 26, Azerbaijan’s Trend news agency reported that the union would set up a joint Turkmen-Uzbek business council. The decision to do this was issued by the government. Turkmenabat lies just across the Uzbek border, so the highway being built by Turkmen Awtoban could aid the union’s assigned goal of facilitating bilateral trade. Turkmenistan and Uzbekistan have repeatedly made soundings about improving trade over the past three years. Yet in 2015, the last year for which figures are available, bilateral trade turnover amounted to only $213 million. The stated aim is to have this grow to $500 million by 2020. Looking south, things are less rosy. Deputy Foreign Minister Vepa Hajiyev led a delegation to Iran but probably met a dead end. Tehran’s Foreign Minister Mohammad Javad Zarif apparently stopped by to chat but this likely had more to do with an ongoing dispute about unpaid natural gas bills than to dangle any prospects of new business. Turkmenistan exported a mere $7 million to Iran in the last 10 months, according to Iranian media. Ahead of a 12-day holiday for Turkmen students that began on January 25, RFE/RL's Turkmen service, Radio Azatlyk, reported that young people are being banned from using private taxis and buses for any travel they plan to undertake during that time; instead they must use public conveyances. Ostensibly, this is to protect female students from harassment, but Azatlyk speculates it is more an effort for the cash-strapped state to reabsorb funds and lubricate bribery channels. It is not the only such scheme. State markets are allegedly forcing consumers to purchase additional goods if they want to buy high-demand products such as eggs, bananas and sunflower oil. Meanwhile, the state’s spending continues down a familiar path. Open-source investigative website Bellingcat revealed additional details on government spending in a January 25 report. Ashgabat bought 340 million euros ($388 million) worth of arms from European Union member states between 2000 and 2017. Seventy-six percent came from Italy. Ashgabat’s purchases from Italian arms manufacturer Fabbrica d'Armi Pietro Beretta range from pistols to grenade launchers. It was in 2011 that Turkmenistan really splurged on Italian arms – specifically, on helicopters from the AgustaWestland subsidiary of Rome-based weapons maker Leonardo. It bought five AW-139 helicopters, four AW-109 helicopters and two transport choppers. The government is adamant all this weapons-shopping is a mere contingency provision and denies the country faces any pressing and specific security concerns. Nevertheless, new reporting about the mobilization of reservists continues to emerge. 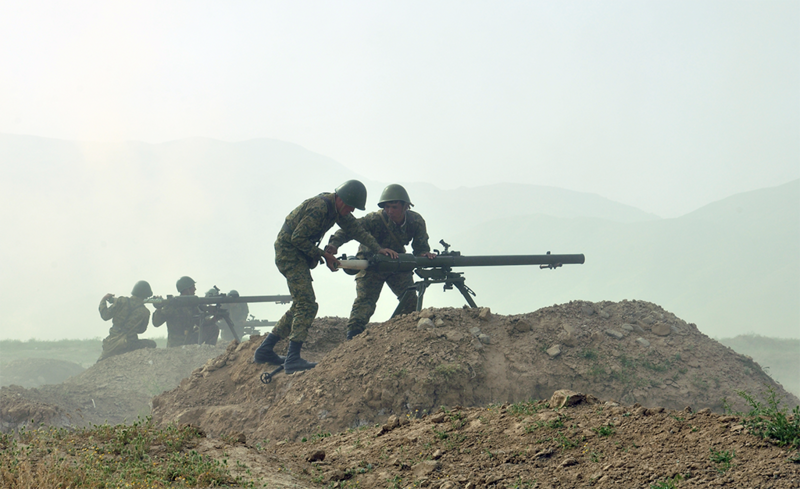 Recent months have seen frequent reports of clashes along the Afghan-Turkmen border. Yet there is genuine positive news there at least after Washington’s top negotiator with the Taliban announced the framework for a potential peace deal on January 28. If there is finally progress on that front, nearly 18 years after the U.S. invasion of Afghanistan, it could actually make Turkmenistan’s goal of creating a new south-eastern gas route export a reality. Even if Turkmenistan is not worried about its neighbors, it certainly seems alarmed by its own citizens. Azatlyk reported that a Turkmen national returning to Ashgabat from Turkey was arrested and questioned for 24 hours last December, apparently on the pretext that she had a Koran in her possession. The woman’s ordeal continued in her native Lebap province, where she was questioned by local law enforcement officers. Finally, when she attempted to fly out again from Ashgabat airport, she was prevented from doing so. The Vienna-based Chronicles of Turkmenistan also claimed that the government's sporadic campaign against beards, which are taken as a demonstration of excess Islamic piety, has resumed. Police are apparently forcibly trimming Ashgabat residents under 40. This is either a fresh assault on devout Muslims or just another excuse to pump people for bribes. The going rate for being let off is reportedly around 100 manat, or roughly $5 at the black market exchange rate. Turkmenistan’s limits on freedom of religion extend to other faiths as well. Forum 18, a nongovernmental religious rights advocacy group, reported on January 22 that an 18-year-old Turkmen national was jailed for refusing compulsory military service on the grounds it is incompatible with his adherence to the Jehovah's Witnesses current. Forum 18 said the man is the 11th member of Jehovah’s Witnesses imprisoned for doing so. Turkmenistan also seems to be getting better at transnational repression. Radio Azatlyk on January 25 published video of a 32-year-old man called Rustem Yusupov who pleaded for help in his battle to evade deportation from Turkey to Turkmenistan. Turkey's Constitutional Court reportedly revoked Yusupov’s asylum status, making his removal to his native Turkmenistan all the more likely.